My son is in speech therapy and he loves learning through play. I don’t think he even realizes it is a therapy session because he has so much fun playing all the fun games that the speech therapist has set up! I always learn something new at these sessions like ways to encourage his speech through interactive games and we love putting some of these ideas to use at home. 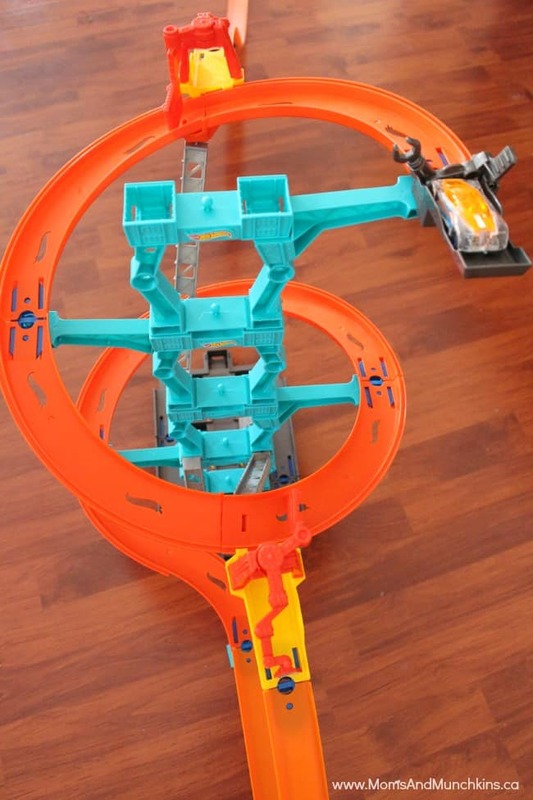 Since we don’t have many appointments this summer, I’ve been putting together some learning activities at home for him using the Hot Wheels FUNdamentals learning program. If there’s one thing that gets him excited to play – it’s cars! The Hot Wheels FUNdamentals program incorporates basic skills such as counting, colouring, language, patterns and more. Since my son has a speech delay, we had to modify some of the activities slightly but he was still able to get the full learning experience from each. 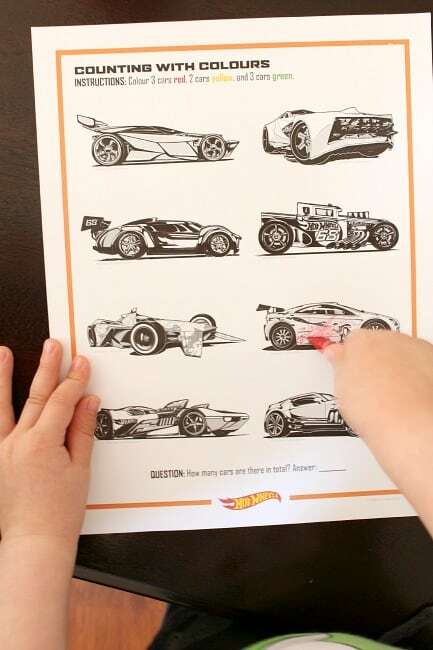 On the Hot Wheels FUNdamentals Learning Program website, you’ll find free lesson plans that you can use with your kids at home. There are so many to choose from – plenty to keep kids busy this summer! We built this fun Cityscape with a little folding, colouring and tape. There are more activities on it as well like printing, questions, etc. but my little guy isn’t at that level yet. He enjoyed colouring it and sending his Hot Wheels cars through the tunnel. The free lesson plans you’ll find on the website include activities sorted by age – junior kindergarten, senior kindergarten and grade one (ages 3 – 7). 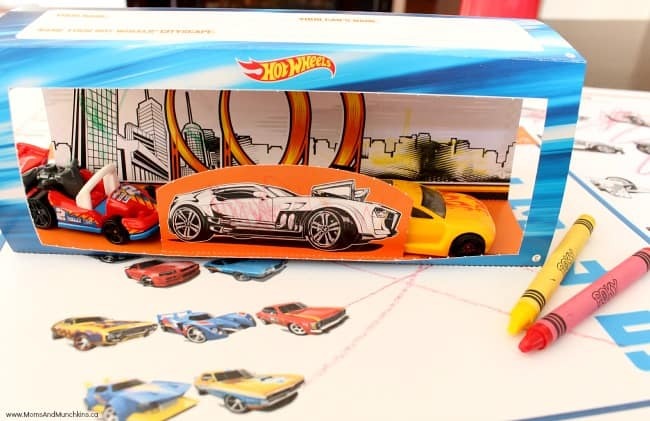 Each lesson has been developed by experienced educators and I love that Hot Wheels is offering them for FREE! On the website you’ll find lesson plans that are developed more for a classroom setting (also great for homeschool programs and daycares) and the activity books that are more for independent play at home. It’s really easy to adapt these activities for both large and small groups. My son was able to play the counting games with me, was able to follow the colour directions, and worked on his language skills while I gave him directions. I know our speech therapist would give these activities two thumbs up! I loved it so much that I printed off several activities for Carolyn (one of our contributors) that runs a dayhome and she’s excited to try the lessons with her kids as well. I think they’ll have a great time with all of it and they’ll have fun activities they can take home to show their parents! 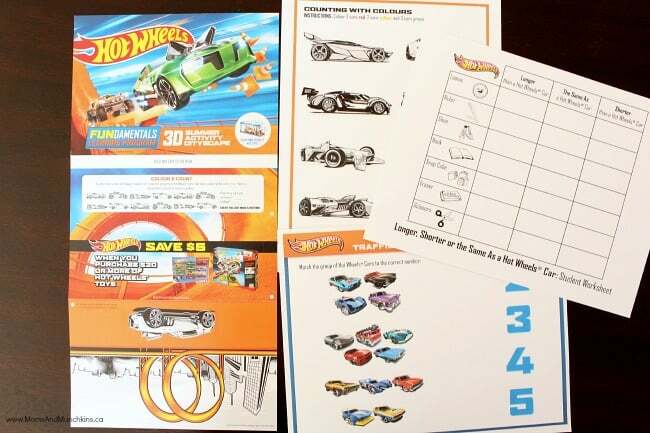 To print your own free Hot Wheels FUNdamentals lessons, visit their website and you’ll find all the links for the free printables there.